It can be hard to find places to eat as a vegetarian. Even harder as a vegan. And just because you don’t eat meat doesn’t mean you don’t deserve a fancy meal once in a while! But where to go? 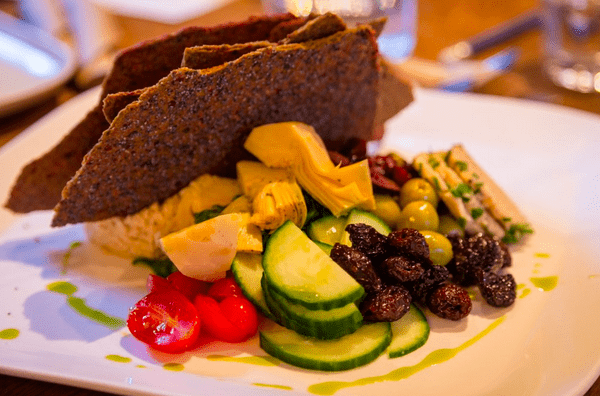 Enter Vegecursion, a monthly food tour dedicated to Toronto’s best vegetarian and vegan cuisine. Savour six tasting dishes from some of Toronto’s finest vegan and vegetarian-friendly restaurants and let your tour guide tell you all about the city’s evolving vegetarian and vegan culinary scene (including recommendations guaranteed to please even your pickiest carnivore pals!) along the way. And you don’t have to be vegetarian to head out on this tour—trying to eat more healthy, eco-conscious and ethically aware food is something I think we can all get behind. Bon Appetit! This tour is supported and assisted by the Toronto Vegetarian Association (TVA). More information and tickets can be found here.